Power of Attorney explains how an adult can make a power of attorney to give someone the legal power to take care of financial and legal matters for them. It explains the types of power of attorney, how to make a power of attorney, and how to end a power of attorney. Managing Someone Else's Money is a guide for the attorney appointed under a power of attorney. It explains the attorney's duties and responsibilities, offers tips to avoid problems, and provides tools to stay organized. With this collection, People's Law School aims to provide information in ways that respond to user needs. Our wikibooks meet the growing interest in information in digital format, while also helping us provide print versions of our information. This collection can be ordered as a printed bound book, downloaded as an ebook, or accessed online. Power of Attorney Collection © People’s Law School is, except for the images, licensed under a Creative Commons Attribution-NonCommercial-ShareAlike 2.5 Canada Licence. 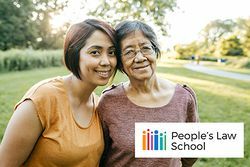 At People's Law School, we believe accurate, plain English information can help people take action to work out their legal problems. This resource explains in a general way the law that applies in British Columbia. It is not intended as legal advice. For help with a specific legal problem, contact a legal professional.